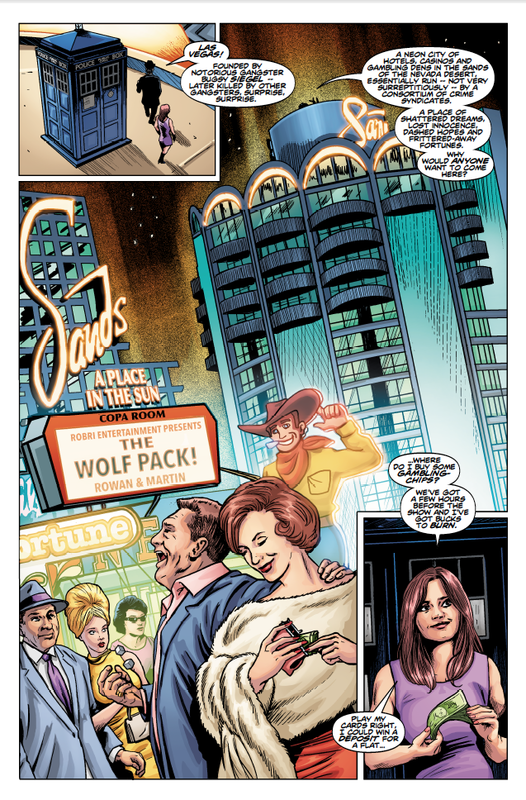 The Doctor Meets The Wolf Pack In The Twelfth Doctor #9 | Warped Factor - Words in the Key of Geek. 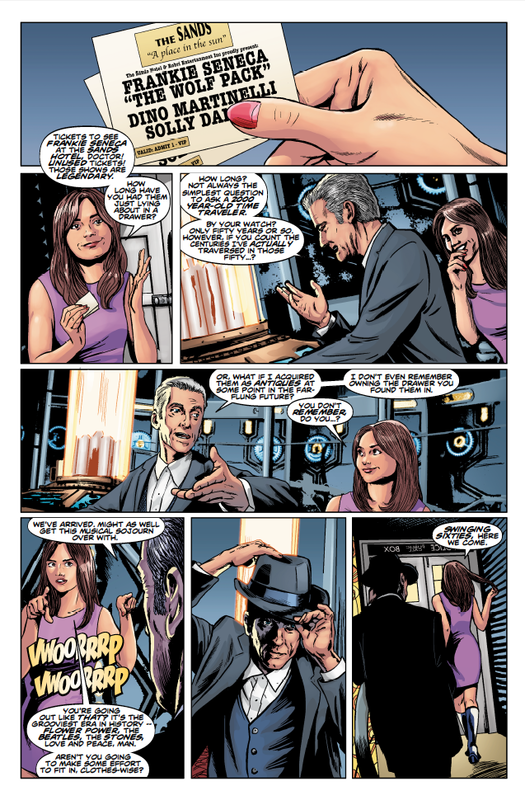 Here's a sneak peek at The Twelfth Doctor issue #9, which sees the Doctor rub shoulders with the Rat Wolf Pack. 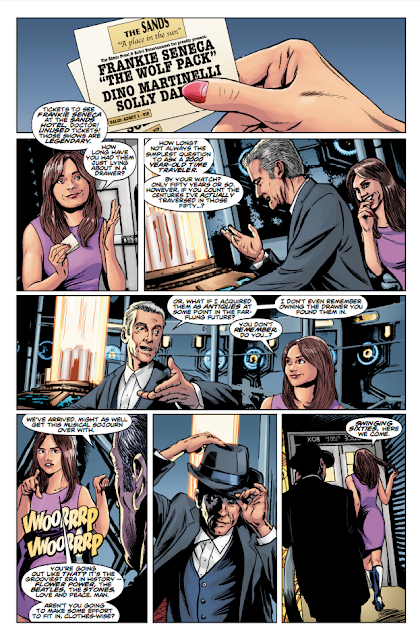 From Titan Comics, Doctor Who: The Twelfth Doctor #9 will be in stores June 3rd 2015. It features the start of a brand-new story arc, as the Doctor and Clara are forced to ally with gangsters on the Vegas strip to combat an even more terrifying foe! 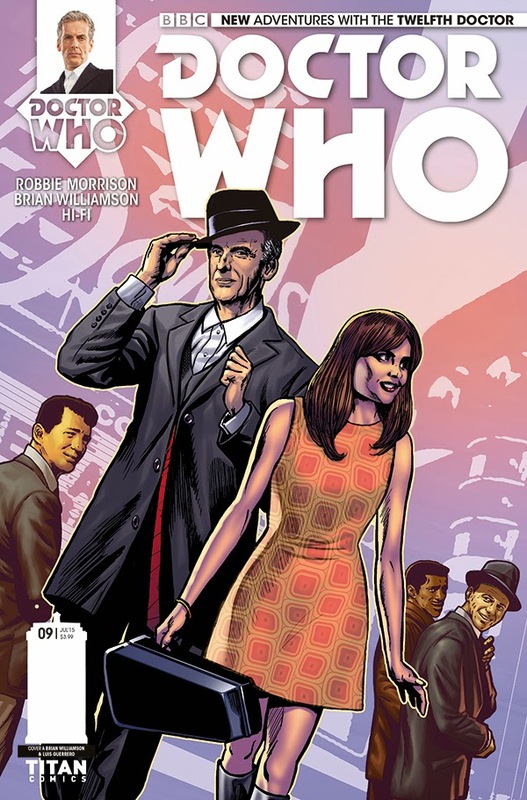 Comes with two covers to collect - Cover A: Regular Cover: Brian Williamson (Order code: MAR151539) and Cover B: Photo Variant (Order code: MAR151540).